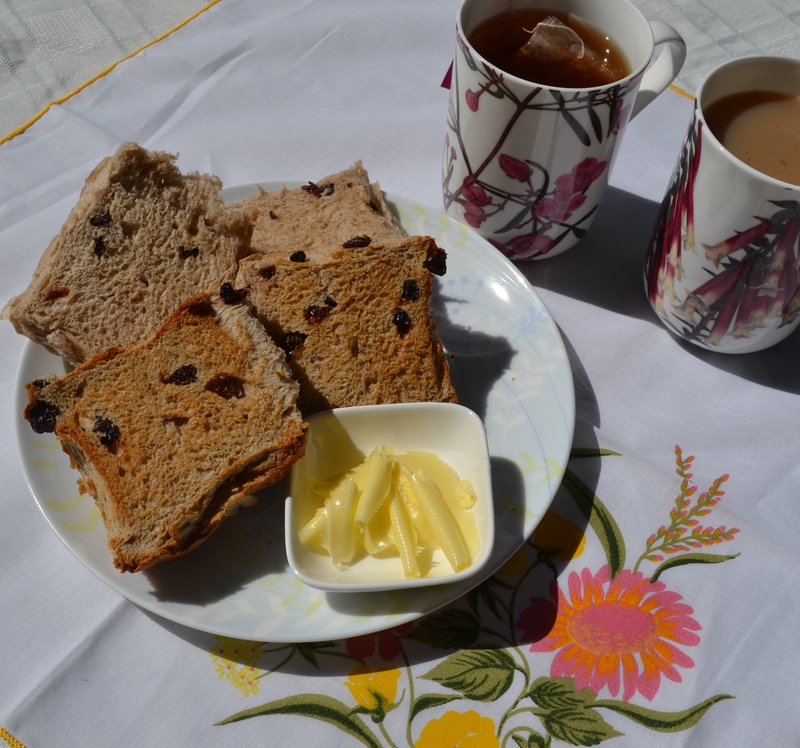 What better way to kick off a four-day weekend than with a couple of fresh, home-made hot cross buns and a tea or coffee outside in the sunshine? Plus lashings of butter of course! You can see Mr t2k’s bun is toasted while mine is freshly warm from the oven but not toasted, the soft inner waiting to be spread with peanut butter, just as I like it. The shops open again tomorrow so there’s still plenty of time to make a fresh batch on Easter Sunday morning before the chocolate gorging begins. See my post here for the recipe. P.S. Once you’ve had them warm from the oven, it’s hard to go back to day-old buns. 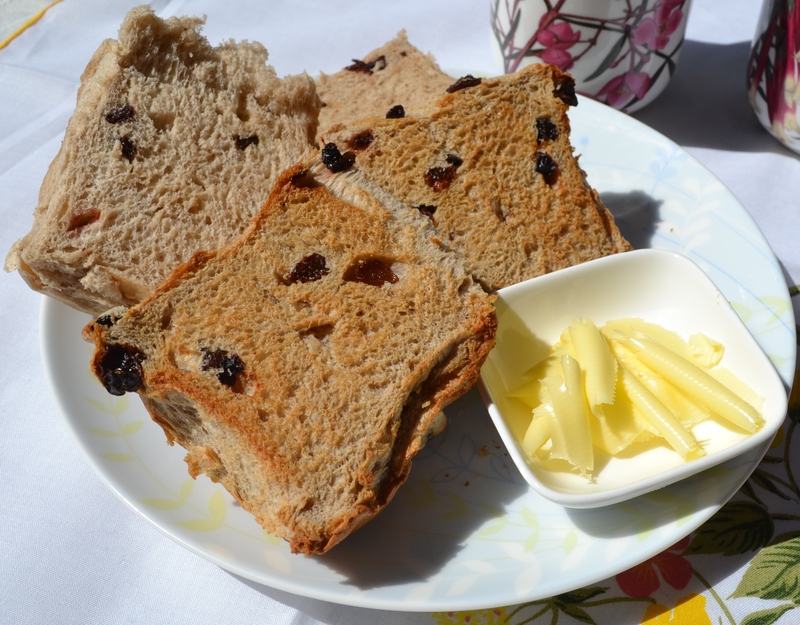 Check back here Monday for a great recipe to use up leftover hot cross buns!